A good estate plan is one that accomplishes your goals, upon your disability or death, while leaving you in control while you are alive and well. If your plan takes care of you and your loved ones if you become disabled and enables you to give what you have to whom you want, the way you want and when you want, it has succeeded. 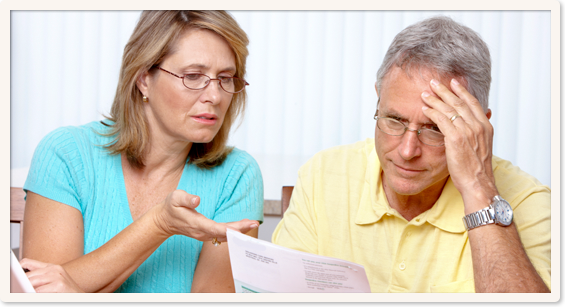 If at some time you become incapacitated, that is, mentally unable to manage your financial affairs due to age or illness, your family may find itself in a difficult position if you have not done the proper planning. If you have not designated someone in a durable power of attorney to handle your financial affairs, your family will need to petition the Probate Court to become your guardian. A guardian then needs to get the Court’s approval prior to spending your money on you and also report annually those expenditures. This can be avoided by naming an agent under a Power of Attorney who can then handle all of your financial matters for you, depending on what authority you have given your agent. Another important document during incapacity is a Durable Power of Attorney for Health Care. This is where you name someone to make your medical decisions for you if you become unable to make them yourself, either temporarily or permanently. Everything in your name alone, with no joint owner or beneficiary named, will pass through Probate upon your death and be governed by your will. There are many methods to avoid probate – having assets owned jointly with someone, naming a payable on death beneficiary, or having assets owned by your trust. Whether avoiding probate is the best choice for you is dependent upon your family circumstances and your goals. 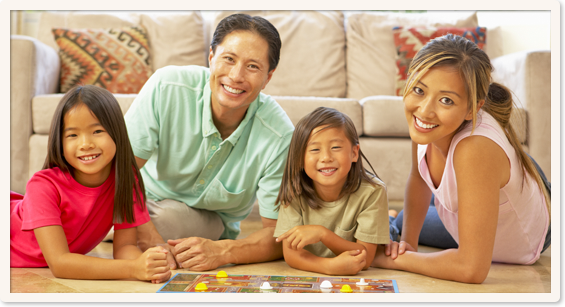 Proper planning can avoid probate and accomplish all your goals for you and your family. If you have minor children (under the age of 18), it is critical that you name a guardian for them upon your death. A guardian is a person appointed by the Court to raise your children until they reach the age of majority. You may name anyone you choose as the guardian for your minor children. However, if you do not name someone, the Court is limited on whom it can name, with one important requirement being the guardian must then be an Ohio resident. The only place that a guardian can be named is in your will. Your estate plan can also provide, however, that any funds your children are inheriting are to be held in trust for them beyond the age of 18. The person named to handle your children’s funds is called a trustee. You can give your trustee specific or general directions on how you would like your money spent for your children. You can also decide at what age you would like your children to take over their funds. The trustee can be the same person as the guardian, but need not be. Whether there will be any federal estate tax payable upon your death depends on the size of your estate, who the beneficiaries are, the law in effect at the time of your death and your estate plan. Be aware that Ohio does have its own independent estate tax, with a current exemption from tax of $338,333. As a married couple as your estate exceeds the federal exemption amount or the Ohio exemption in any significant amount, tax planning becomes important in order to minimize the tax effects upon your heirs. We often hear a wish by families to protect their children’s inheritance from potential creditors or divorces. If that is an important goal for you, trust planning may be the appropriate solution. A living trust is a set of instructions on how you want your assets spent or distributed upon your disability and death. A Living Trust can be used to hold legal title to your assets and provide a mechanism to manage them. You (and your spouse) are the trustee(s) and beneficiaries of your trust during your lifetime. You also designate successor trustees to carry out your instructions as you have provided in case of death or incapacity. 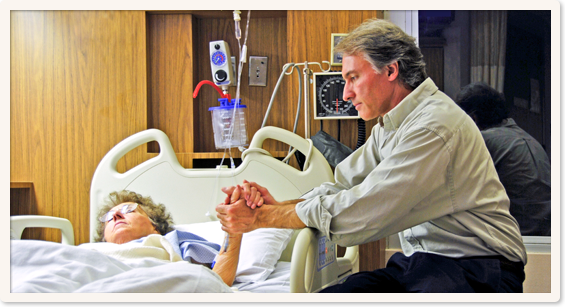 Unlike a Will, a Trust usually becomes effective immediately after incapacity or death. Your Living Trust is “revocable” which allows you to make changes and even to terminate it. One of the great benefits of a properly funded Living Trust is the fact that it will avoid probate and minimize the expenses and delays associated with the settlement of your estate. There are two types of death taxes that you should be concerned about: the federal estate tax and state estate taxes. The federal estate tax is computed as a percentage of your net estate. Your net taxable estate is comprised of all assets you own or control minus certain deductions. Such deductions can be for administrative expenses such as funeral and burial costs as well as charitable donations. The current amount that is exempt from federal estate tax in 2015 is $5.43 million, indexed to inflation. The federal estate tax is currently “repealed” for the year 2010, but the repeal “sunsets” on December 31, 2010. Instead of an estate tax, heirs of decedents who pass away in the year 2010 will now have to use the original price paid for an asset when computing their tax liability, instead of the value upon the owner’s death. Those who pass away in the year 2011 and onward are subject to an applicable exclusion amount of only $1,000,000 which means that everything over that amount is subject to estate taxes. *There is currently no Ohio estate tax, but other states may have a state estate or inheritance tax. Your taxable estate comprises of the total value of your assets including your home, other real estate, business interests, your share of joint accounts, retirement accounts, and life insurance policies – minus liabilities and deductions such as funeral expenses paid out of the estate, debts owed by you at the time of death, bequests to charities and value of the assets passed on to your U.S. citizen spouse. The taxes imposed on the taxable portion of the estate are then paid out of the estate itself before distribution to your beneficiaries. The federal government allows every married individual to give an unlimited amount of assets either by gift or bequest, to his or her spouse without the imposition of any federal gift or estate taxes. In effect, the unlimited marital deduction allows married couples to delay the payment of estate taxes at the passing of the first spouse because at the death of the surviving spouse, all assets in the estate over applicable exclusion amount ($2,000,000 in 2007) will be included in the survivor’s taxable estate. It is important to keep in mind that the unlimited marital deduction is only available to surviving spouses who are United States citizens. A Credit Shelter Trust, also known as a Bypass, Family, or A/B Trust; is used to eliminate or reduce federal estate taxes and is typically used by a married couple whose estate exceeds the amount exempt from federal estate tax. For example, in 2009, every individual is entitled to an estate tax exemption on the first $3.5 million of their assets. Because of the Unlimited Marital Deduction, a married person may leave an unlimited amount of assets to his or her spouse, free of federal estate taxes and without using up any of his or her estate tax exemption. However, for individuals with substantial assets, the Unlimited Marital Deduction does not eliminate estate taxes, but simply works to delay them. This is because when the second spouse dies with an estate worth more than the exemption amount, his or her estate is then subject to estate tax on the amount exceeding the exemption. Meanwhile, the first spouse’s estate tax credit was unused and, in effect, wasted. The purpose of a Credit Shelter Trust is to prevent this scenario. Upon the death of the first spouse, the Credit Shelter Trust establishes a separate, irrevocable trust with the deceased spouse’s share of the trust’s assets. 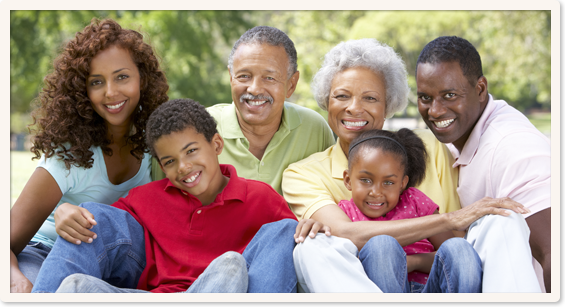 The surviving spouse is the beneficiary of this trust, with the children as beneficiaries of the remaining interest. This irrevocable trust is funded to the extent of the first spouse’s exemption. Thus, the amount in the irrevocable trust is not subject to estate taxes on the death of the first spouse, and the trust takes full advantage of the first spouse’s estate tax credit. Special language in the trust provides limited control of the trust assets to the surviving spouse which prevents the assets in that trust from becoming subject to federal estate taxation, even if the value of the trust goes on to exceed the exemption amount by the time the surviving spouse dies. *There is now a way to prevent the unused credit from being wasted. *There is also the possibility for a surviving spouse to use the deceased spouse’s unused exemption. If your estate is large, you should discuss this with your attorney. A durable power of attorney is a document in which you appoint someone to carry on your financial affairs in the event that you become disabled. Unless you have a properly drafted power of attorney, it may be necessary to apply to a court to have a guardian or conservator appointed to make decisions for you when you are disabled. This guardianship process is time-consuming, expensive, often costing thousands of dollars and emotionally draining. In general, an agent (or “attorney in fact”) may be anyone who is legally competent and over the age of majority. Most individuals select a close family member such as a spouse, sibling or adult child, but any person such as a friend or a professional with outstanding reputation for honesty would be ideal. You may appoint multiple agents to serve either simultaneously or separately. Appointing more than one agent to serve simultaneously can be problematic because if any one of the agents are unavailable to sign, action may be delayed. Confusion and disagreement between simultaneous agents can be another cause of inaction. Therefore, it is usually more prudent to appoint one individual as the primary agent and nominate additional individuals to serve as alternate agents if your first choice is unwilling or unable to serve. The law allows you to appoint someone you trust – for example, a family member or close friend to decide about medical treatment options if you lose the ability to decide for yourself. You can do this by using a “Durable Power of Attorney for Health Care” or Health Care Proxy where you designate the person or persons to make such decisions on your behalf. You can allow your health care agent to decide about all health care or only about certain treatments. You may also give your agent instructions that he or she has to follow. Your agent can then make sure that health care professionals follow your wishes and can decide how your wishes apply as your medical condition changes. Hospitals, doctors and other health care providers must follow your agent’s decisions as if they were your own. While Special Needs Trusts are typically established by parents for their disabled children, any third party can establish a Special Needs Trust for the benefit of a disabled beneficiary. 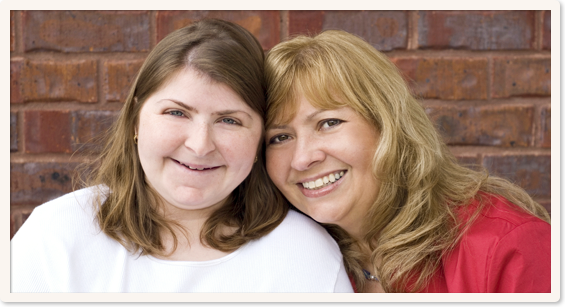 It is important to seek the assistance of competent counsel when creating a Special Needs Trust. Indeed, a poorly drafted Trust can easily be subject to “invasion” by the government agencies who provide benefits. Our law firm has the experience and the expertise to establish effective Special Needs Trusts for anyone who wishes to provide for a disabled beneficiary. Under Ohio law, a third party (not the beneficiary) can establish what is called a Wholly Discretionary Trust, which is meant to prevent any assets funded into this trust from being counted as a resource for the purpose of the beneficiary qualifying or retaining government benefits like Medicaid or SSI. Under this kind of trust, the beneficiary cannot serve as the trustee. The trustee has the sole and absolute discretion to make distributions from the trust, without any stated guidelines.